Very nice hostel. Very clean. Good shower, nice beds. Excelent location and staff. Very good location, near the central station and easy to go directly to the center. It's easy to check-in and check-out, good for travelers that prefer to visit the city rather than be in the hostel. Only a microwave and a fridge but in Amsterdam it's normal to eat in the city when we are visiting this fantastic city. Melhor do que estava à espera! Fiquei num dormitório de 10 pessoas, feminino e tinha só uma casa de banho limpa e que chegou perfeitamente porque as pessoas tinham horários diferentes. Uma cozinha com loiça e Wi-Fi gratuito. O único ponto menos a favor era as escadas íngremes, mas somos jovens, não é suposto ser tudo fácil. A localização é excelente. Well, my overall experience was positive. 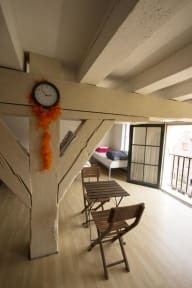 This hostel is perfect if you're just looking for a place to sleep in the city center! Once there's no common areas it's hard to meet people. There's no kitchen either but there's a fridge and a microwave in the room. The room itself is no big deal. I stayed in a 10-bed room, only one shower and one toilet. The room had only small lockers for small personal items, big bags don't fit there. For the price, it was ok. Some services weren't available. The cleaning in the dorms could be better. Great location, 4 minute walk to downtown. 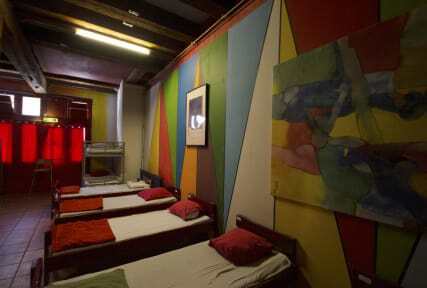 It is a quiet hostel, maybe too quiet in that it is forbidden to make a noise after midnight. Towels provide a blanket and locker. We spent cold at night. The worst hostel I ever have been!